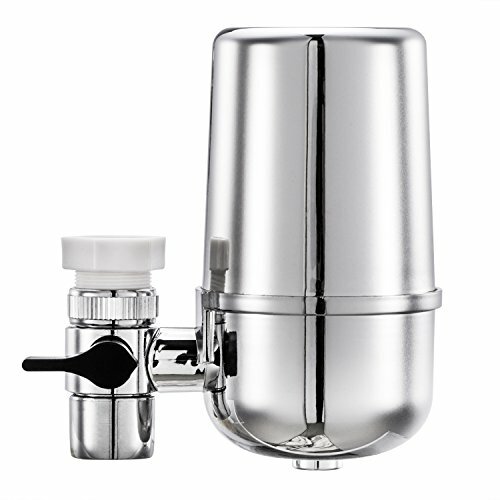 Food Grade Filter Material -The faucet water filter filled with high grade ceramic filter ,KDF55 that can reduce contaminants,kill bacteria and inhibits the growth scale of lime,mold, and fungi.. Convenient Design - Flexible metal interface,smooth operation,360-degree swivel allows it to fit well in most sinks.Easy installation, simple and quick, no extra tools needed. When to Replace the Filter? - Each filter provides up to 200 gallons of clean water or up to 3-6 months of use(depending on water quality & usage).Filter cartridge is easy to replace . Get rid of that horrible chlorine smell and sour taste,refreshing taste. Beneficial to drinking pureness and cooking for healthy life. KDF55 also can kills bacteria and inhibits the growth of scale, lime, mold,and fungi. If you have any questions about this product by JIANFA, contact us by completing and submitting the form below. If you are looking for a specif part number, please include it with your message.